The pleasure of an exfoliating shower gel with 100% fruit seeds and energizing benefits. 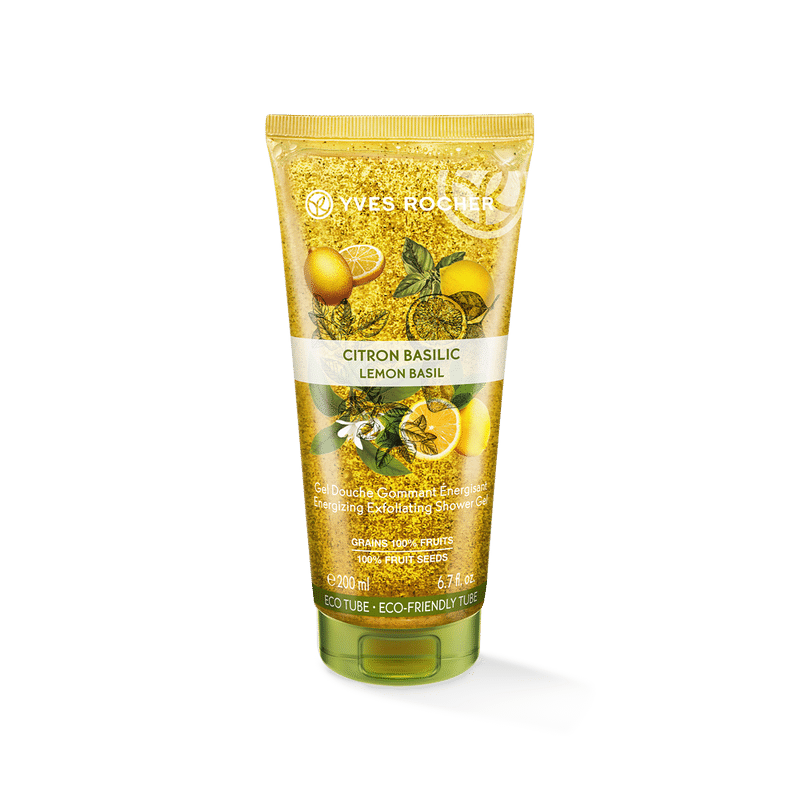 Enriched with 100% Apricot kernel powder and Coconut powder, zesty lemon oil and lively aromatic oil of Basil leaves, the Yves Rocher Energizing exfoliating shower gel gently cleanses and exfoliates dead skin cells and makes one feel energized. Botanical-based ingredients: Apricot kernel powder and Coconut powder and Lemon and Basil essential oils (in the fragrance).